Hiperbaric is a technology based company developed on innovation. Which has developed a robust business model that has allowed it to become a world leader in its sector. Your product is backed by the guarantee offered by the Hiperbaric brand and backed by a solid Industrial Property strategy. All this translates into security and confidence for our customers and decisive aspects in the purchase process that have helped to loyalty many of them. We are a highly technological company in which innovation is one of the key aspects of our success. It has allowed us to become a global company and a world leader in its sector with a strong business model. Hiperbaric was a pioneer in its field. We tackled the high pressure sector in 1999, with a technological innovation that has prevailed over time. The horizontal design of HPP (High Pressure Processing) equipment. Almost 20 years later and with numerous R & D projects behind, we have once again amazed the world by developing Hiperbaric Bulk technology. A totally innovative concept for the HPP processing of bulk beverages (before being packaged). Over the years, Hiperbaric has been enriched in knowledge and experience. A differentiating factor from its competitors and that allows to offer its customers cutting-edge technology. To preserve all this knowledge, it is vital to have an Industrial Property strategy. How does Hiperbaric protect its innovations? A proper management of Industrial Property allows to give value to the knowledge acquired and the technology developed. It also protects the company (against its use by third parties) to guarantee the exploitation of the results with total security. This protection and added value are extended to our customers, given that they acquire the equipment. Which incorporates cutting-edge, more productive and reliable technology that they can use with complete freedom. Brand: It gives the company exclusivity over its use, preventing other companies from marketing products or services with the same denomination or distinctive sign. Also to those that are similar enough to confuse consumers. It is the most commercial figure because it constitutes a point of differentiation and business positioning. It is a channel of communication and image that must be taken care of. Hiperbaric has registered its brand internationally and under it we market all the equipment. Industrial design: The reproduction or imitation by the competition is prevented, contributing to strengthen the position of the company in the market. Hiperbaric does not currently have any protected development under this figure. Patents and utility models: They recognize the right to exclusively exploit an invention considered a world novelty in the case of patents. Preventing others from manufacturing, selling or using it without the prior consent of the owner. 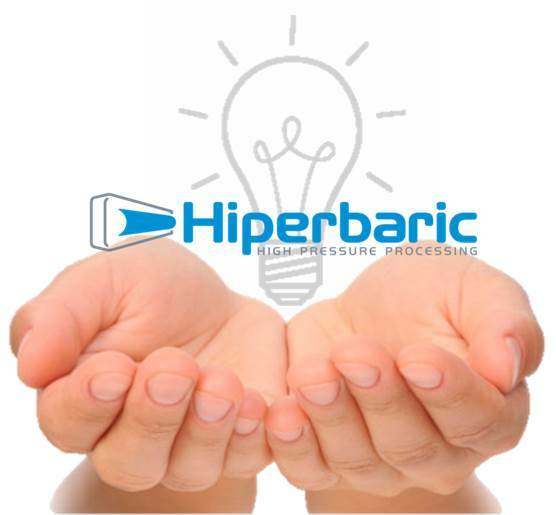 Hiperbaric currently has 7 patents granted, 2 applied for and one more in the application process. 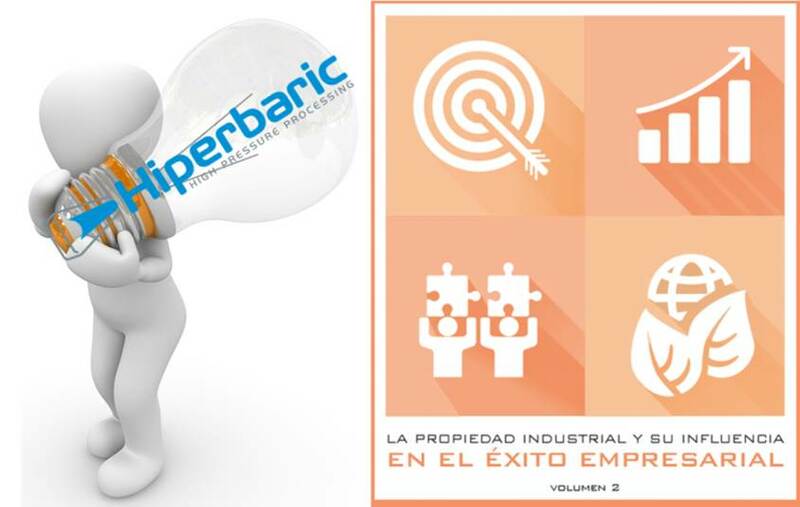 In the environment of industrial applications in which Hiperbaric is located, the most relevant figure is The patent. However, there are times when it is advisable to protect certain developments through industrial secrecy. This is the case in regards to some stages of manufacturing. This is where a large part of Hiperbaric know-how resides. Thus patenting them would mean making valuable and critical knowledge available to other manufacturers. Conception: Each new technological solution is presented to a committee that discusses its relevance and feasibility. This phase includes an in-depth study of the state of the art and another of freedom of operation. When a new technological development is started, it is evaluated which is the best option to protect it: patent or industrial secret. Caution: Whatever the decision, the necessary measures are established for. In the case of industrial secrecy, protect sensitive information. Regarding patents, do not publish or communicate anything until the request is made public. Patents: a committee is appointed that will be in charge of the drafting and request processes of the same in coordination with a highly qualified Industrial Property office. The latest R & D project of Hiperbaric has led to the development of the Bulk HPP technology. The Hiperbaric 525/1050 Bulk units reach productions of 5,000 – 10,000 l / h. They suppose a significant reduction of the total cost of acquisition (TCO) and offer total versatility when choosing the final packaging of beverages. Prior to the start of the project, a complete feasibility plan was carried out. It ranged from technical aspects to those related to the commercialization and exploitation of the results. After a positive report, the technical development of the project began, which lasted almost 3 years. Throughout the process of design, construction and validation, state of the art and freedom of operation studies have been reviewed and updated. Based on these, several patents have already been requested that protect the developed solutions and give value to the Bulk HPP technology. To learn more about our strategy you can read the latest issue of “Industrial Property and its influence on business success” published by the Spanish Patent and Trademark Office (OEPM). Soon we will know the date of presentation of the book, which Hiperbaric will attend to. If you want to know more about our patent portfolio and the added value that they bring to our equipment and your business, do not hesitate to contact us.